I first heard about the Mt. 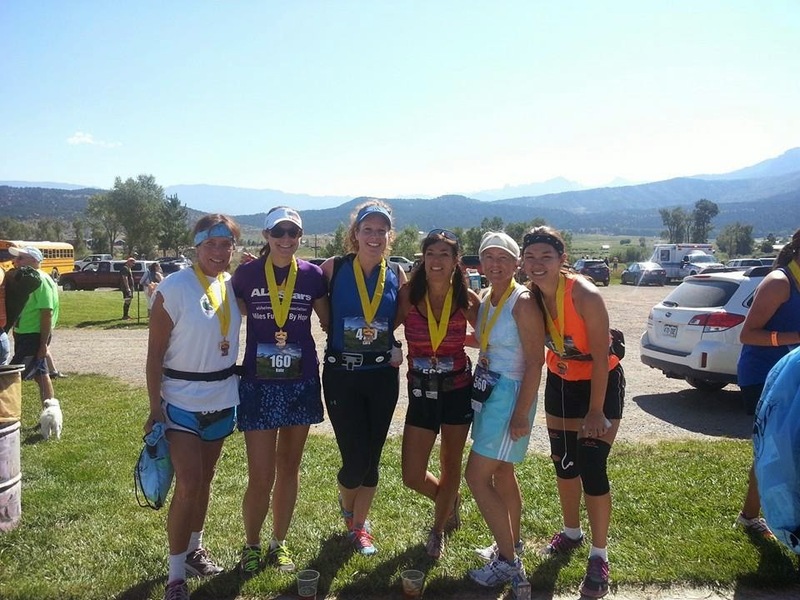 Sneffels Half Marathon back in the fall of 2012 at the Black Canyon North Rim 8K. I was still a newbee runner at this point and when I overheard some people talking about it, I was in awe that they had ran it! A Half Marathon still seemed WAY unfathomable to me at this point (who would've thunk only a month later I had decided to take the plunge and sign up for my first half the following spring). 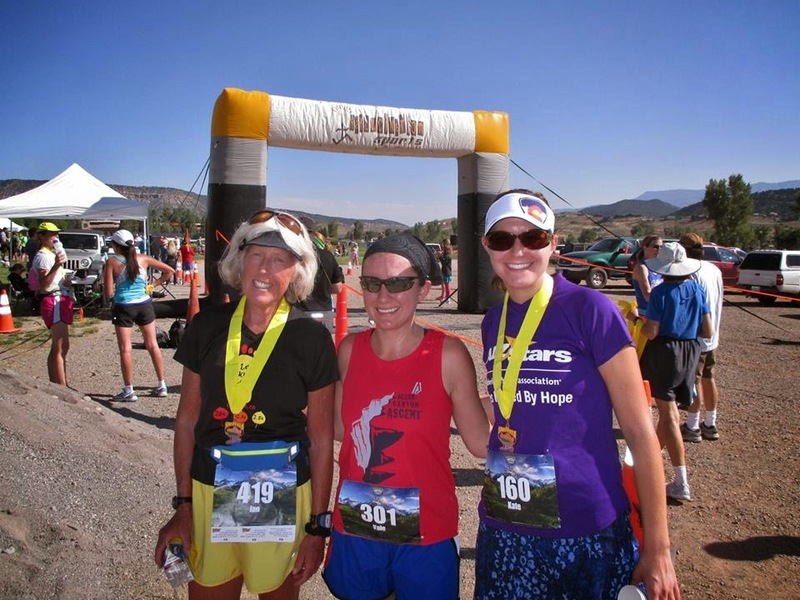 Anyways, I would've done this race last year, except that I had already signed up for Georgetown to Idaho Springs Half Marathon on the same day. They were offering $15 registration in February and what can I say, I'm a sucker for a good deal (of course I hadn't thought it through that Georgetown was 4 hours away and would require a hotel). But anyways, that's neither here nor there, I actually had a great time at GTIS last year - but this just meant that I had to finally do Mt. Sneffels this year! The race started in Ouray on Saturday morning, so I drove up to Montrose on Friday night and stayed with my friend Lori. 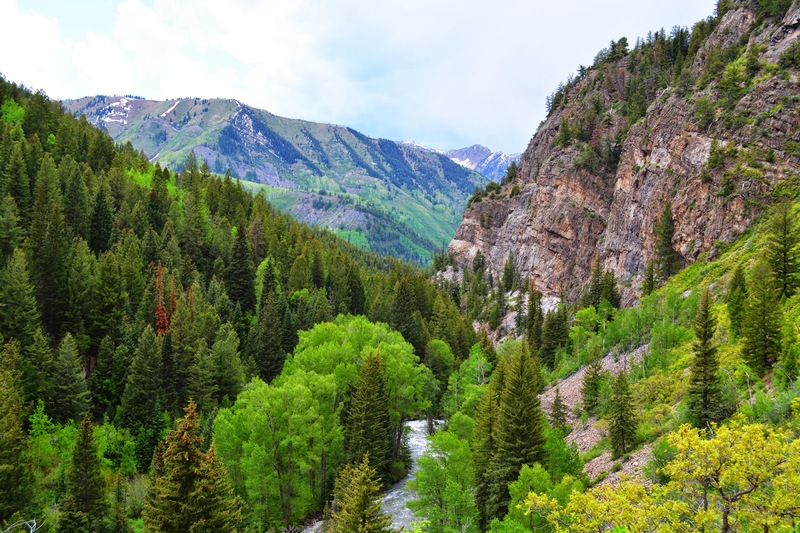 We got up nice and early the next morning and carpooled down to Ouray with Karen and Jan, making it into town with plenty of time before the 7:30am start time. It was pretty chilly out, but I knew I wouldn't be complaining about that once we started running. Mt. Sneffels was gorgeous in the morning light as we drove to Ouray! After waiting around for a bit, it was just about time. The race starts right by the visitors center off of Highway 550/Main Street going into Ouray, so I walked up to the highway to get in with the crowds. I saw Vale, and we exchanged our hello's (and I admired her awesome Colorado themed shorts - must get a pair!) and then we were off. 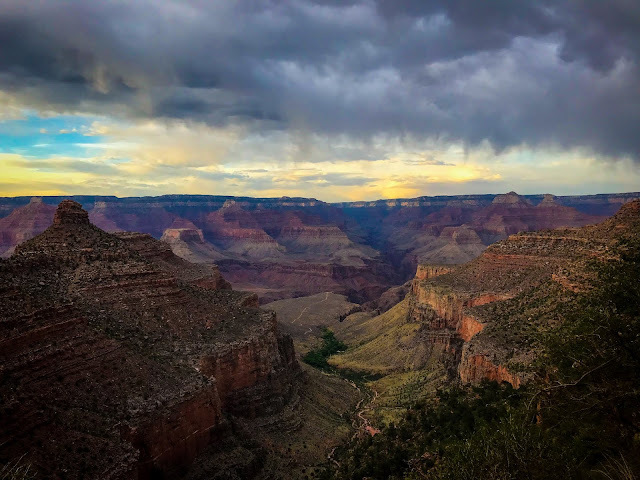 You run into Ouray, past all of the shops downtown before making a u-turn , heading back towards Fellon Park and the visitors center before looping back south again onto some dirt roads before finally getting onto Highway 17 and towards Ridgway. What was cool about the U-turn part of the race, is that you can see the elite runners go by! Since the race was only one week before Pikes Peak Marathon, I told myself I wasn't allowed to push it too hard, and just go out and have fun. I started my Garmin, but instead of wearing it, just put it in my pocket so I wouldn't pay attention to the pace I was running at, and instead just go off of effort. 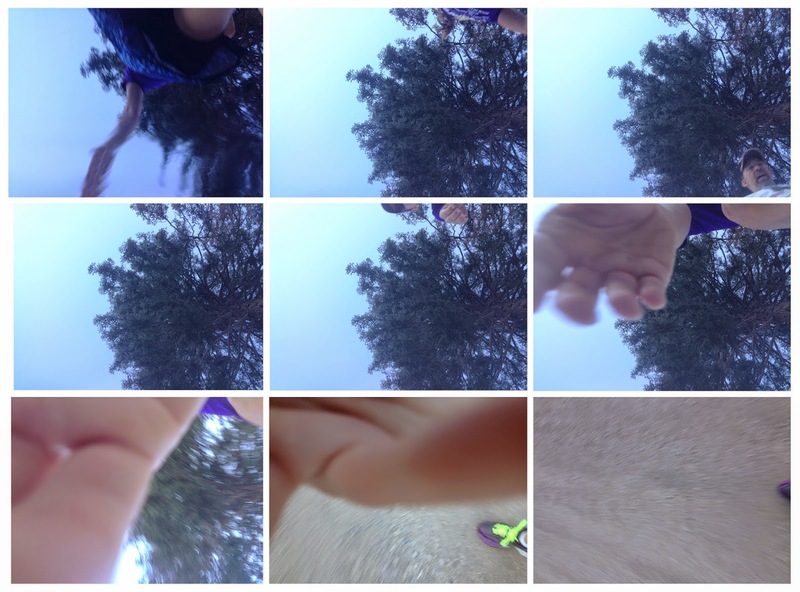 So I dropped my phone around mile 2 while trying to take a picture, and for some reason it kept taking pictures during the fall... I thought the progression was pretty funny! Shortly after we got onto Highway 17, I stated chatting with a girl, Camilla, who I knew from Instagram but had never met in real life. We actually ended up running together until about mile 12. Because of the looping section throughout Ouray at the beginning of the race, my pace was pretty slow for the first few miles because there was a decent amount of uphill. Luckily as you start heading towards Ridgway, you get a nice gradual descent. This 10ish mile stretch is actually what I used to do my first out-and-back 20 miler when training for my first marathon last December. Coming out from the Ouray side, it's pretty shaded for the first several miles. Unfortunately as you get closer to Ridgway, and later on in the day, it gets more exposed and turned HOT! About 4-5 miles in, I saw David Knapp on his way into Ouray while running the full marathon (the full is an out-and-back of the Half course). I chatted with Camilla quite a bit which was nice to help pass the time by. Right before mile 11 is where the giant hill is....(everyone talks about the giant hill - in a way it's kind of annoying because you go into the race thinking this will be the only hill - but it's most definitely not - it's just the most prominent. Anyways, up the hill I went - nice and slow. There's a nice aid station right at the top which is awesome. I grabbed some food (I think I had gummy bears? ), and continued on. Only 2 more miles to go! At about the mile and half to go mark, I saw Vale up ahead! So I sped up a bit and caught up with her to finish together in 2:06:26. Shortly after that, we went back to Ouray for a trip to the hot springs and then lunch (with margaritas - yum) downtown. It was a lot of fun! We got in the paper with this photo! Jan, Vale, and Me at the finish line. Overall I really enjoyed this race! It's a great size - I think they had around 700 people for both the half and full marathoners combined. There's lot of local people I know which makes it a lot of fun, and the swag was awesome: shirts, hats, pretty full colored personalized race bibs, and a unique finisher's medal! My only complaint was how hot it was at the end - but obviously there's not much you can do about that.